5.0 out of 5 starsImagine being stripped raw. There are bound to be those who say, “Not another reissue. How many times is this stuff going to be regurgitated?” Not as many as you think. 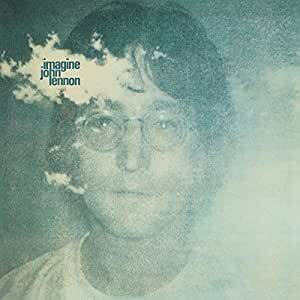 And this isn’t ‘just a reissue of the Imagine album’. 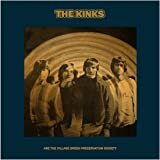 Whilst it has that 1971 classic remixed and remastered, this six CD edition is choc full of different takes and demos, isolated elements of the songs as well as unadorned ‘live’ versions. Oh and there’s a collage of each songs trip from demo to finished recording. 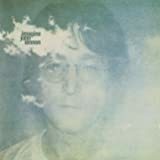 By wandering around your room, the unadorned mixes (‘Imagine’ stripped, if you like) sound even better in 5.1. Want to hear George’s guitar on ‘Oh My Love’? Stand front right. 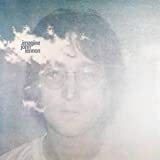 There’s plenty of chat before and after these raw mixes, though the first take of ‘Imagine’ was included in his ‘Anthology’ collection 20 years ago. However, if you don't have a 5.1 system, you are paying for two discs that you won't be able to get the full benefit from. The 120 page hardback book is a terrific read. 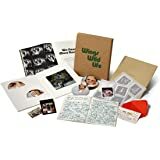 With plenty of previously unseen photos, it gives an over view of the album before giving a detailed insight into each track, as well as the five extra songs. And some of the lyrics of 'Imagine' itself don't mean what you might think. There’s also information on the elements mixes, raw mixes, etc. and a handy 5.1 surround sound map. This insight helps you hear things in the songs you would certainly have missed - the stand up base on 'Crippled Inside', for instance, is played by someone hitting the strings with drumsticks to make it sound like a tin can. Lennon's interview with Elliot Mintz is reproduced in full. As the casual listener won't care for hearing multiple versions of the songs, and the whole album was recorded in just 146 takes, this six CD set is for the die-hard Lennon fan (and for the overall package is good value) but there’s also a double CD that has a collection of outakes and demos on the second disc, a single CD of the original LP, a double album incorporating a dozen different takes, and a heavyweight vinyl version. This is the way all deluxe box sets should be, but the material has to be strong and familiar enough in the first place; and this album always was. This represents terrific value for money at just over £60. Compare this to the deluxe release of Roxy Music’s first album often twice the price for far less content and no hi res. If you have blu ray facilities you won’t need the 4 CDs as everything plus more is on the blu rays in hi-res stereo and often multi- channel. A highpoint should be the new 5.1 mix – “expansion to the 5.1 Surround Sound soundstage” is how it is described. Unfortunately the mix is so subtle that there is no proper surround. What we get is a waste of effort as it is little better than playing the stereo version with the amp’s Dolby pro-logic or DTS decoder on. The original quadraphonic mix (or quadrasonic as they bizarrely call it) was never that wonderful but it is at least it was an attempt at surround, though marred by its 1970s technology with no centre channel to anchor the vocals. Ironically the best surround mixes are the rough cuts on the second blu ray disc that sound like a 1970s quadraphonic album. There is a massive amount of material on these discs that significantly help understand the creative process and allow us different perspectives on the album. The most bizarre part is the elements mix that plays each track but with only a few key instruments. It’s not a conventional instrumental version of each track and I found it difficult to get through: I would have preferred edited sections rather than whole tracks. There is a fun audio documentary that is a very much behind the scenes addition and an insight into Lennon’s personality and creative process. The hardback book is an excellent accompaniment to the package. I’m giving this 5 stars - though it really should be 4+ because of the duff 5.1 mix – as it is such good value for money. 4.0 out of 5 starsGreat package. But why the Blu-ray? This package is superbly presented with a very informative hardback book. The new mix of the album sounds amazing, and it’s nice to hear the unissued takes and also some of the takes showing the evolution of the songs. In all honesty, the demos and outtakes are really for diehard fans only, but probably only diehard fans would go for a package of this size anyway. In the unlikely event that you are a casual fan reading up about this deluxe package, I suggest you go for the conventional issue. The price is fairly reasonable considering that a lot of these super deluxe things go for stupid money, so well done to the powers that be for thinking of the fans’ wallets in a nice way. My only criticism is the inclusion of two audio only BluRay discs. Some of this repeats what’s on the CDs, but there is also added stuff too. Is there any reason why they could not have been just normal CDs? Without duplications? What’s the point of an audio only dvd or Blu-ray anyway! 5.0 out of 5 starsLennonTastic! Now I’ll admit I’m a massive Lennon fan, I’ve seen where he was born, where he lived & where he died so maybe I’m a bit biased but this collection gives you a great insight into the making of this iconic album. I’ve in particular found the Elements tracks both Beautiful & quite Haunting, but it gives a different perspective on some of the tracks. I could waffle on for ages about how good I think this Ultimate Collection is but I won’t. If like me you’re a Big Lennon fan, just get it you won’t be disappointed.